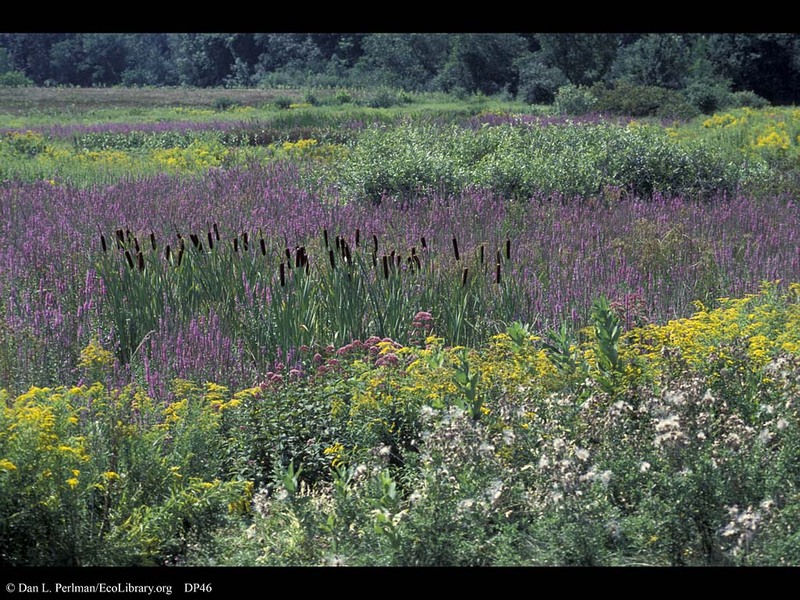 Purple loosestrife invading wetland, Massachusetts. The beautiful but invasive purple loosestrife is taking over this wetland and replacing the native cattails. Loosestrife provides little habitat value for animals and is extraordinarily difficult to eradicate, as it produces hundreds of thousands of seeds per plant and can sprout from root stocks if it is cut down.